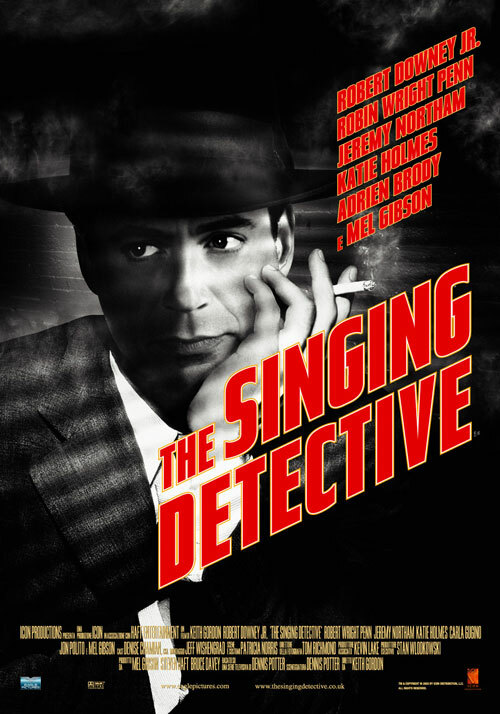 Today’s feature is the surreal musical “The Singing Detective,” starring Robert Downey Jr. and Mel Gibson. “The Singing Detective” was initially written as a BBC series by Dennis Potter, who also wrote the screenplay which ultimately led to this movie adaptation. Potter actually did suffer from extreme psoriasis, just like the lead character in “The Singing Detective.” Unfortunately, he died of cancer almost ten years before this film of his work was made. The significant makeup effects team for “The Singing Detective” was composed of members of Captive Audience Productions, which is best known for doing movies like “The Passion of the Christ,” “Bicentennial Man,” “A Beautiful Mind,” and “Van Helsing.” The team included Anita Brabec (“The Hunger Games,” “Confessions of a Dangerous Mind”), Tom Killeen (“Red Planet,” “Spider Man 3”), Keith VanderLaan (“Son of the Mask,” “Van Helsing,” “Kull The Conqueror”), Greg Cannom (“The Pit and The Pendulum,” “Space Truckers,” “Jingle All The Way,” “Captain America,” “Highlander II,” “It Lives Again”), Corey Czekaj (“The Master of Disguise,” “Avatar”), Mark Nieman (“Foxcatcher,” “Big Momma’s House”), Pam Phillips (“Sideways,” “Bones”), Sam Sainz (“Toys,” “RoboCop 3”), and Patty York (“From Hell,” “Secret Window”). The visual effects for “The Singing Detective” were provided by WhoDoo EFX, a company which also worked on such films as “Charlie Wilson’s War,” “The Stepford Wives,” and “X2.” The specific credited workers were Helena Packer (“The Last of the Mohicans,” “Tank Girl,” “Twin Peaks”) and Mark Ritcheson (“The Tuxedo,” “Anamorph”). The special effects team for “The Singing Detective” was made up of Scott Blackwell (“24”), Jeremy Hays (“League of Extraordinary Gentlemen,” “State of Play,” “Tiptoes”), and David Peterson (“8MM,” “The X Files,” “Monkeybone,” “The Adventures of Ford Fairlane”). The cast for “The Singing Detective” is headed by Robert Downey Jr. (“Iron Man,” “Kiss Kiss, Bang Bang”), Mel Gibson (“Lethal Weapon,” “Signs,” “Braveheart,” “Mad Max”), and Robin Wright (“House of Cards,” “State of Play,” “Unbreakable”), with the accessory players filled out by Adrien Brody (“The Pianist,” “Predators”), Jon Polito (“Miller’s Crossing,” “The Man Who Wasn’t There”), Katie Holmes (“Phone Booth”), Carla Gugino (“Sucker Punch,” “Watchmen”), and Jeremy Northam (“Mimic,” “The Net”). The story of “The Singing Detective” takes place primarily inside the mind of a troubled, bedridden author with a debilitating skin condition, who increasingly lives inside a hallucination of one of his stories, where he lives as a dashing detective who also sings at a local night club. Robert Downey, Jr. and Keith Gordon apparently met while they were both filming the Rodney Dangerfield comedy film “Back to School,” in which they both portrayed young characters. The screenplay for “The Singing Detective” spent years rotating from studio to studio, with directors such as Robert Altman and David Cronenberg at one point or another expressing interest. Rumor has it that Altman was set to cast Dustin Hoffman as the lead, whereas Cronenberg had his eyes set on Al Pacino. “The Singing Detective” was made on a budget of nearly $8 million, but grossed less than 350,000 in its limited theatrical run, making it a significant financial flop. The reception wasn’t much better: it currently has a 5.6 rating on IMDb, along with Rotten Tomatoes scores of 39% (critics) and 41% (audience). “The Singing Detective” has a number of similarities to another Keith Gordon movie that I really like: “Mother Night,” adapted from the Kurt Vonnegut novel. Both stories center on an awful but oddly sympathetic protagonist being put through the ringer of life’s harshest struggles. However, “The Singing Detective” doesn’t pull off the same gravity as “Mother Night,” which benefits greatly from being shot starkly and in uniform shadows. 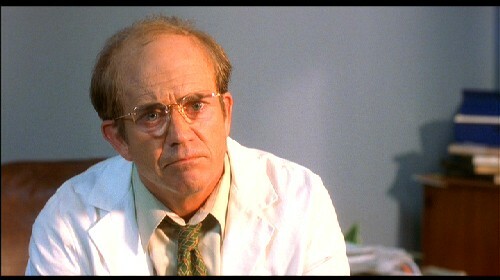 Campbell from “Mother Night” is also a little more realistically portrayed as a human in deep pain, and isn’t constantly thrown into surreal hallucinations and manic musical numbers (which is not a fault to be leveled at Downey). Speaking of which, Robert Downey Jr. is a particular highlight to “The Singing Detective,” and uses his typical sarcastic, frenetic charm to great effect. 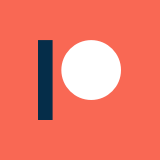 However, it is also combined with a pained bitterness and instability to create an incisive and paranoid character. “The Singing Detective” is a little too incoherent to work effectively, but it is also oddly not quite surreal enough, either. I would have been fascinated to have seen Cronenberg’s or Altman’s takes on the story, because I think either of their styles would have fit it fantastically. Altman would have relied on character interactions, whereas Cronenberg could have turned it into something like “Videodrome” with a film noir twist. Translation from television to film is always a bit tricky, as television shows are typically structured to follow a much longer arc than movie. In this case, the story of “The Singing Detective” specifically doesn’t lend itself well to the act structure of a film (at least for mass audiences). I was reminded a lot of Anthony Hopkins’s “Slipstream,” in that it lost itself in being profound, drifting right off into incoherence, and the slow pacing certainly didn’t do that any favors. The production of “The Singing Detective” probably should have done new renditions of the songs featured in the film, as the lip syncing just doesn’t come off right, and isn’t particularly consistent either. The old tracks also keep the sequences from being truly distinct or charming, which they really could have been. The writer, Dennis Potter, was apparently adamant that the actors not sing the songs, so the lip syncing was actually specifically written into the script. This brings up another issue, in that the writer (or in this case, his will) may have had too much influence on the production (usually they have almost none), and thus muddled the vision. In any case, I guess what they did here is still better than “Viva Laughlin,” the failed musical television show (which was also adapted from an acclaimed BBC series) in which the actors bizarrely sang over the original tracks. It could always be worse, right? Mel Gibson, to my shock, is actually pretty good here, and is nearly unrecognizable with the makeup effects. He doesn’t usually step outside of his comfort zone, so this was interesting to see. This was also a few years before he went completely off the rails, while he still had some real talent before sliding into self-parody. Robin Wright is also pretty great, as she always seems to be. She might be one of the most under-appreciated consistent performers in the business, even when in mediocre-to-awful movies. Overall, “The Singing Detective” is a thoroughly flawed but interesting watch. The performances and direction are good, but the writing seems to be missing something to push it over the edge. Given the resurgence of both Robert Downey Jr. and Robin Wright in recent years, it is interesting to go back to. However, if you are just looking for pre-“Iron Man” RDJ performances, go to “Less Than Zero,” “Kiss Kiss, Bang Bang,” or “True Believer” before this one.